10 pole MALE ribbon cable connector | DamenCNC B.V.
We use this connector, to make cables for the Delta VFD-E display. 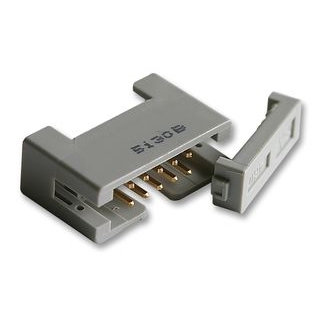 Its not a 100% perfect connector, as the connector is a litle but too wide to fit into the back of the display. It needs to be altered with a knive, to make it fit.